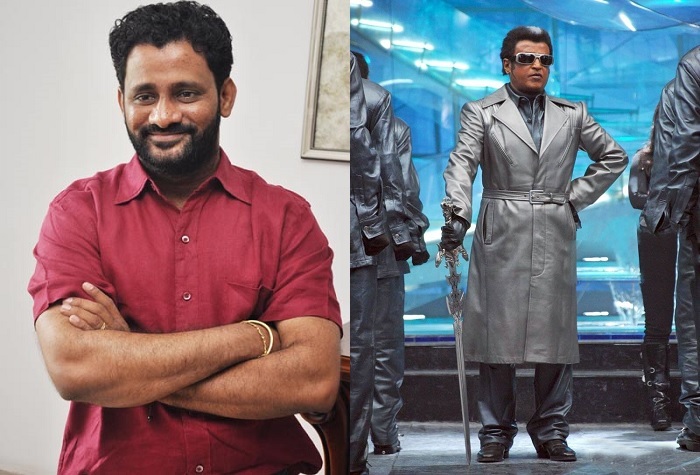 2.0: Resul Pookutty Shocked about Rajinikanth? Superstar Rajinikanth's 2.O shoot was completed recently, the movie directed by Shankar, 2.O is the series of Enthiran movie. Superstar Rajinikanth's upcoming most expected big budget movie 2.O, the movie directed by Shankar. This is the continuity of entire movie, Bollywood's Fame actor Akshay Kumar done the crucial role in this movie. Recently 2.O Team completes their shooting, Now movie team busy with the editing process. In this case, the work of dubbing has started yesterday(26th dec 2016), Superstar Rajinikanth arrived there on the same day and completed three-reels dubbing in a single shot. Whole 2.O team shocking for superstars power. 2.O's sound engineer Rasool Pookutty shocked for Rajinikanth's dubbing speech in the single shot. Rasool Pookutty says "I was shocked, How Rajini sir did this, I really like his talent". 2.O movie story based on science fiction subject and produced by Subaskaran Allirajah, founder of Lyca Productions. Rajinikanth, Akshay Kumar, Amy Jackson are doing lead role and music background composed by A R Rahman. 2.O movie expected to release the next year 2017 Diwali (18 October 2017). Write & Share about "2.0: Resul Pookutty Shocked about Rajinikanth? | 2.0 (2 Point O) Tamil Movie News | Cinema Profile" !